Because too much added sugar isn't good for your waistline or your health, many people turn to natural sweeteners such as agave nectar or honey. Both of these foods contain naturally occurring sugars, a healthier option than added sugars. That doesn't mean, however, you can eat as much of either as you want. Agave nectar and honey still contain calories and don't supply large doses of key vitamins and minerals, but one isn't necessarily more nutritious than the other. Instead, agave nectar is healthier in some respects while honey is healthier in others. A 2-tablespoon serving of agave syrup contains 85 calories and 21 grams of carbohydrates. The same amount of honey has 128 calories and about 35 grams of carbohydrates. If weight loss or weight maintenance is your goal, agave nectar is the healthier choice because it's lower in calories and carbs than honey. Agave syrup also contains less sugar per serving. A 2-tablespoon serving of agave syrup has 18.6 grams of sugar, while the same amount of honey contains 34.5 grams. 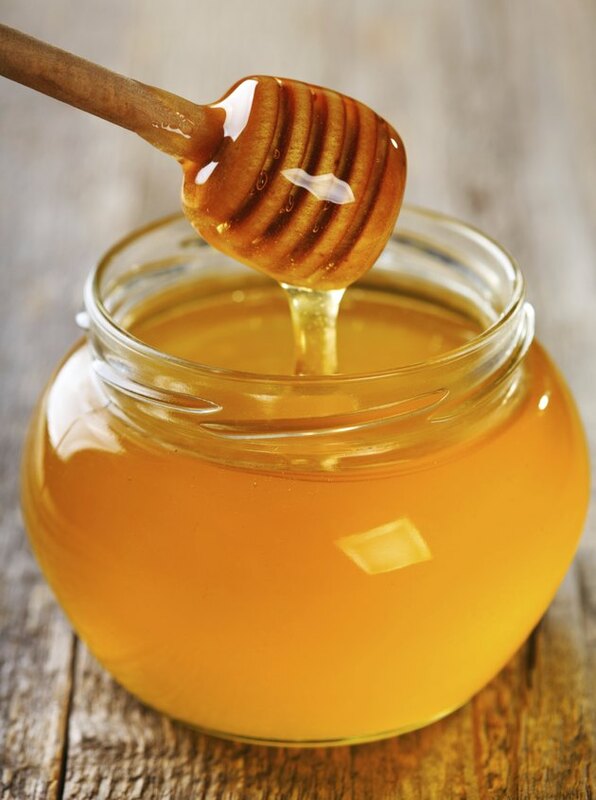 Agave syrup supplies small amounts of several key nutrients that honey doesn't have. For example, a 2-tablespoon serving of agave syrup supplies 6.2 micrograms of vitamin K, a nutrient that aids in blood clotting. Agave syrup contains trace amounts of vitamins C and E, as well. Honey doesn't contain anything in the way of vitamins E or K, but it does contain traces of vitamin C, calcium, iron, potassium and zinc. Agave syrup contains the same amount of calcium as honey, but a negligible amount of iron, potassium and zinc. Agave syrup is low on the glycemic index, which means that it breaks down more slowly in your bloodstream. It also has a sweeter flavor than regular sugar, which can help cut the calorie content of certain foods because you need to use less of it. Agave syrup is primarily fructose so it has a small effect on blood sugar, according to Margaret M. Wittenberg, authority on natural foods and author of "New Good Food: Essential Ingredients for Cooking and Eating Well." Honey is also primarily fructose and is sweeter than table sugar. In addition, honey contains antioxidants that can protect you from a range of health problems such as heart disease and cancer. It also has antibacterial and antimicrobial properties. Agave syrup contains much less antioxidant activity than honey, according to a 2009 article published in the "Journal of the Academy of Nutrition and Dietetics." Agave nectar is a better choice than honey for vegans because it comes from a plant instead of from animals. It might not be a healthy choice if you're diabetic, however, because fructose converts to fat more quickly than other types of sugar, and agave is primarily made up of fructose. This excess fat can cause insulin resistance, according to Raymond Francis, a chemist, nutritionist and author of "Never Feel Old Again," which is potentially dangerous to diabetic patients. Honey is lower in fructose and so might be a better choice for diabetics. In fact, honey could actually be used as part of an effective diabetes treatment, according to a 2014 article published in the "Journal of Diabetes and Metabolic Disorders." The two sweeteners can usually be used interchangeably in recipes, so experiment to see which achieves the taste results you desire.